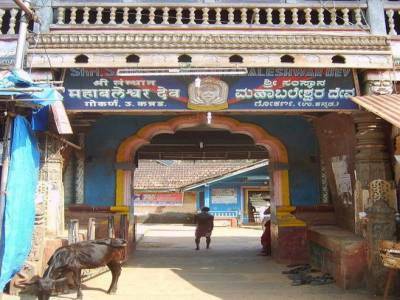 Mahabaleshwara Temple is an ancient temple dedicated to Lord Shiva and located in Gokarna, Uttara Kannada district of Karnataka. 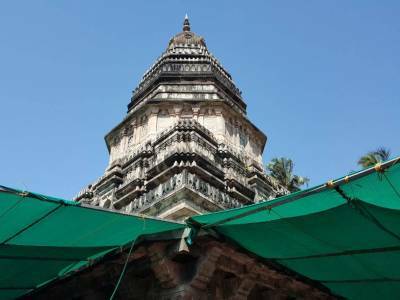 The Mahabaleshwara Temple has Atma Linga of Lord Shiva is about 6 foot under the ground and devotees can touch only the top of Linga which is like a shape of a cow’s ear. Mahabaleshwara Temple is considered to be one of the five important Shiva temples in India and devotees need to be shirtless to enter the Garbha to perform Puja and Abhishek. Legend has it that Ravana’s mother wanted to worship the Atma Linga and after a long penance, Ravana was successful in getting the Atmalinga from Lord Shiva. But he had warned Ravana that it had to be taken home by walk, and in failing to do so, it will be lodged forever at the place where it is kept. When Lord Vishnu learned this, he along with all the gods and goddesses, persuaded Lord Ganesha to prevent Ravana from becoming all powerful. Then Ganesha took the form of a young boy and reached Gokarna. As evening fell, Ravana went to perform Sandhyavandhana giving the Shiva linga to the boy. They had made an agreement that if Ravana did not respond after calling him thrice Ganesha would place the linga on the ground. Accordingly, when Ravana did not answer the third time (while performing the rites), Ganesha kept the Shiva linga on the ground. On returning, Ravana tried lifting the statue, but it was of no avail. He then called the linga Mahabala or supreme strength. Thus Lord Shiva is also referred to as Mahabaleshwara. 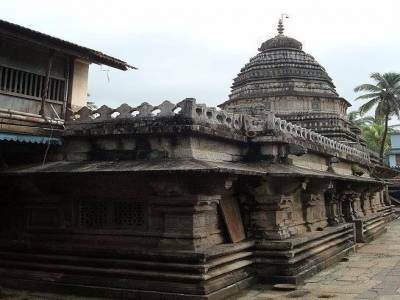 The temple which houses this Shiva linga is known as Mahabaleshwara Temple. 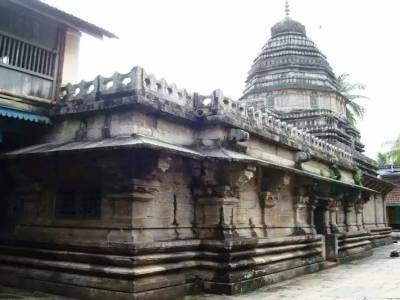 Other religious attractions near the Mahabaleshwara Temple include Maha Ganapati Temple, Uma Maheshwara Temple, Bharakali Temple, Venkataramana Temple and Tamra Gauri Temple. 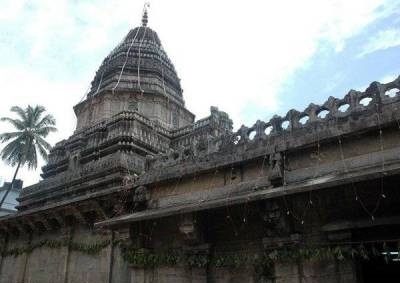 Get quick answers from travelers who visit to Mahabaleshwara Temple.